The ex captain of the England rugby union Matt Dawson has shared the story of his family with the public. He described the 2-week ordeal they’ve experienced as they were trying to save their 2-year-old child suffering from meningitis C.
2-year-old Sam Dawson was treated at the famous Great Ormond Street Hospital. The World Cup winner (2003) revealed that he wanted to share this story after he found out about a petition urging for every child to be vaccinated against the infection B-strain. The petition was signed by more than 400.000 people. However, many specialists have told the public that they are not sure how effective this vaccine is. This petition and campaign was activated once the public found out about the death of 2-year-old Faye Burdett who was struggling with B-strain. 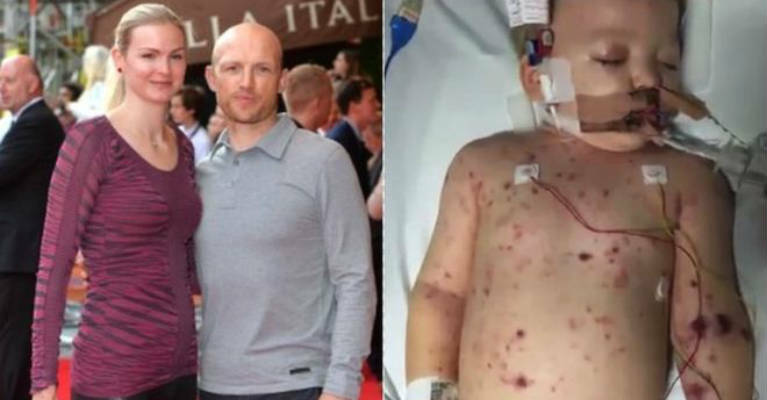 Matt Dawson shared a number of images on his Twitter profile with this son who was battling meningitis C. The former player of London Wasps and Northampton, said that these horrific changes were result of a two-week struggle with meningitis and that his son is lucky to be alive. He also thanked the accident and emergency department of the Chelsea and Westminster Hospital because their staff was able to identify the disease right away. In the end, Matt urges people to sign the petition in order to protect other children’s lives. According to the petition site founded by the government, if there is a petition with more than one hundred thousand signatures it will be taken into consideration for Parliamentary debate. As we have mentioned before, Britain was shocked by another case similar to this recently. 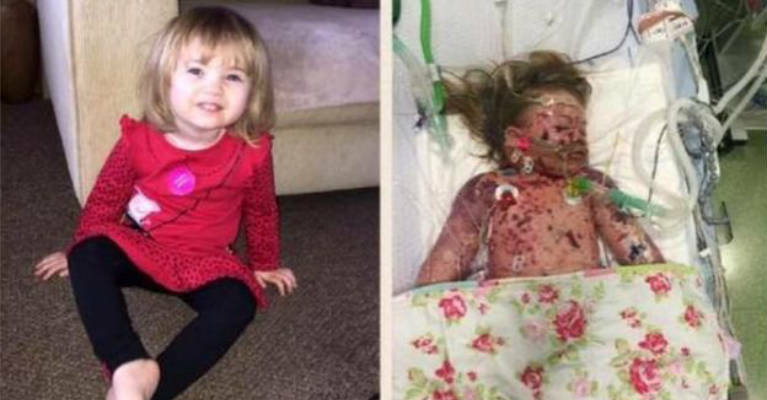 2-year-old Faye Burdett didn’t make it and she was sick for just 11 days when her life ended. The most popular social media networks were full of shares of her tragic story thanks to her mother Jenny from Kent. She shared the photos of her young daughter from the hospital. She added that she wants to save other children and that’s why she joined the campaign. Jenny believes if all children are vaccinated these cases will become a thing of the past. Scientists have developed a completely new vaccine that can help children fight off meningitis B and it is now available for all children who are younger than one year. It is part of the NHS. Parents with older children who want to protect their children must pay for these vaccines. The United Kingdom is the first country in the world that has established meningitis B vaccination. According to James Stuart a senior advisor at WHO and a professor at the University of Bristol, science has still not tested this vaccine’s effects completely. He believes that this program should be extended carefully. In addition, Nigel Klein, an expert who works at Great Ormond Street Hospital and a professor at the University College London says that they believe that vaccine will be helpful. He also points out that they are not sure about the efficiency of the vaccine and whether some issues can occur or not. That’s why they are continuing their research with the help of the MRF (Meningitis Research Foundation). The UK Department of Health reported that every immunization program that is new must have a date used to assess eligibility. Meningococcal disease is the leading cause of meningitis in the United Kingdom. It can lead to meningitis, intense swelling of the brain membrane and spinal cord membrane and septicaemia or a form of blood poisoning. It is good to point out that there are five main types of this disease known as group A, B, C, Y and W.
This is a dangerous bacterial infection that usually has impact on children that are less than one year old. According to the official statistics, there are about 20 cases per one hundred thousand children aged between 0 and 1. Some of the most common symptoms of meningococcal disease are confusion, cold limbs, vomiting, nausea and frequent headaches. If this disease is spotted on time, the majority of children (and adults) can recover without any consequences only with a treatment based on antibiotics. This disease is deadly for 10% of the sufferers. On the other hand about 30% of those who overcome this disease are not the same again. Some of them experience deafness, learning problems, epilepsy or even amputation of some of the limbs. The good news is that there are vaccines against all groups of this disease that work very well. However, before September last year, a vaccine against group B meningitis was not available on the National Health Service. It is good to know that vaccination can’t protect us from all types of meningitis, so every parent should learn more about the symptoms of this disease and act fast in case they notice these symptoms.